Awesome Poetry……and this looming darkness was deeply engraved in his sensitive and lost soul combined with his genius. Yes! Finally something about long time dead. Heya, I have wondered about purchasing the application DubTurbo Beatmaker and was hoping anybody could give me an actual real overview of the software package. Lots of the sites that give critiques are in reality affiliate marketers promoting the application and so i question that the opinions are reputable. Thank you in advance for all the information somebody can provide.
. Will you mind in the event I reallyutilize a few of your personal concepts? it owned much more images it would probably be even a lot better. “It is better to burn out, than to fade away.” Got that from one of Niel Young’s songs. Can’t remember the name of the song. Neil isn’t a conservative, but at least he isn’t a rhino. “Hey Hey, My My” is the name of that Neil Young tune. Excellent poetry! Thank you for sending me your blog! Reading your poem, I felt the same way as if i was in a book of mine… Though mine is a fantasy story, I guess the feelings one has reading your poem and my story would be the same? Keep the good work going! Let the wonderful noise of the sea always sounds in your ears! (a greeting of the water dragons’ hunters – my Tale Of The Rock Pieces). Let’s watch the moon, let’s meet the sun! Let’s hear soon the way the Deed was done! I guess this poem from my next book is a certain prove of my words? Poetry could express similar feelings in any genre? like blazing sense of lust. in hir eyes of fire. she entwines u’r darkened soul. could be felt in the rain. Wow! What a coincidence. That’s how I started out….The Doors’ energy is one of rebellion, freedom, a different world almost. That’s exactly how I started on my journey to the bottom of the pitt. Only when I am dead, would I really want anything said …. The breath of life cycles, in and out, around and around. No apparent beginning or end, yet constant transformation from what was to what will be. Caught in the middle of now, wishing change from the past knowing it can only come in the future as the past disappears like ticks on a watch, frozen in memories of both joy and regret. “who led me to embrace the rebel within one. Congrats on getting your poetry published!!! Enter your email & stay poetic. Read as they are written! 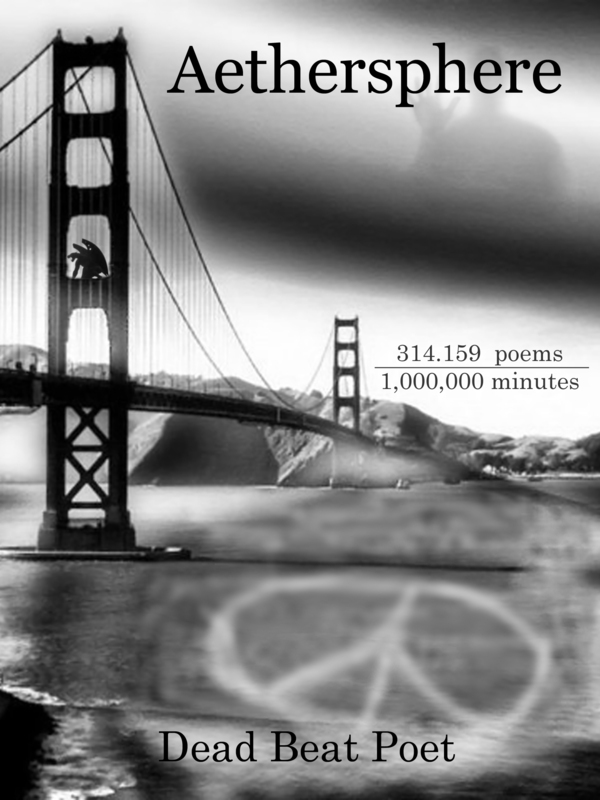 314.159 Poems in 1,000,000 Minutes by dead beat poet is licensed under a Creative Commons Attribution 3.0 Unported License.